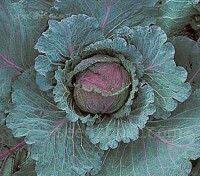 Cabbage 'January King' is one of the best varieties for winter use. With their characteristic blue-green leaf colour with a red tinge they are well adapted, withstanding frost and winter rain and remain crisp and crunchy with excellent colour. 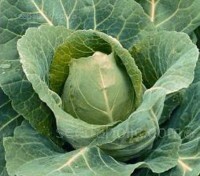 '“Wintergreen Offenham 3' is a very popular variety, it has proven itself as an excellent variety for early season cabbages. Extremely hardy, these faster-maturing spring greens are ideal for utilising redundant polytunnel space over the winter months. RHS AGM. 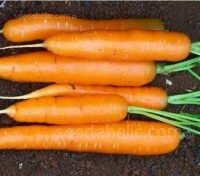 Amsterdam Forcing 2’ is a high quality variety which produces uniform, cylindrical baby carrots with a rich deep orange red colour and almost no core. Fast to grow and one of the earliest to mature. Ideal for early forcing and for successional planting. 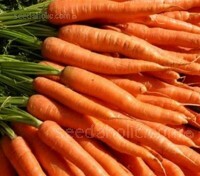 Amsterdam Forcing 2’ is a high quality variety which produces uniform, cylindrical baby carrots with a rich deep orange red colour and almost no core. Fast to grow and one of the earliest to mature. Ideal for early forcing and for successional planting. Organic Seed. Unless you have tasted the stunning sweetness of a carrot pulled from your own garden in the dead of winter you haven’t really tasted a carrot. 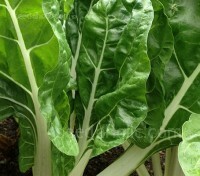 This favourite of home gardeners can be grown as a maincrop or late variety and is an excellent variety for storing. 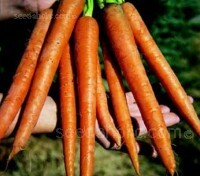 Autumn King is one of the best main crop carrot varieties, with a deep red colouring and long conical roots. A vigorous carrot with the potential to be the highest yielding of all, it resists greening and splitting so stores well left in the ground and is an excellent variety for storing. Carrot F1 Eskimo is perfect for those carrot-lovers who know that the tastiest carrots are harvested in the autumn and early winter. 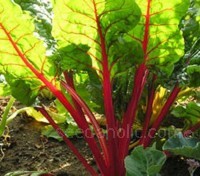 It is one of the most cold tolerant varieties available. Recommended by the N.I.A.B. and RHS AGM. 'F1 Flyaway' is the result of over 15 years breeding, an excellent carrot fly resistant variety with cylindrical roots and a good blunt end. 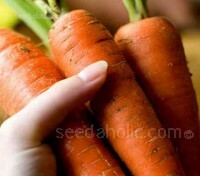 Most importantly they are naturally succulent and sweet, with good skin and flesh colour. Crops early summer through to autumn. 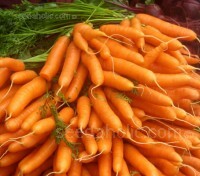 'F1 Flyaway' is an excellent carrot fly resistant variety with cylindrical roots and a good blunt end. 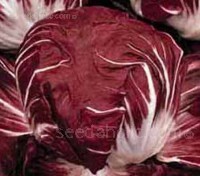 Perhaps most importantly, they are naturally succulent and sweet, with good skin and flesh colour. Crops early summer through to autumn. Organic seed now available. Carrot F1 Maestro is an excellent Nantes type. 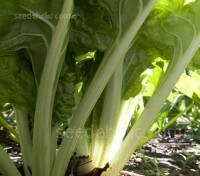 This maincrop to late season variety has been bred for root quality and reliability of crop. 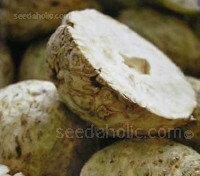 It has excellent pest and disease resistance. Recommended by the N.I.A.B. and RHS AGM. 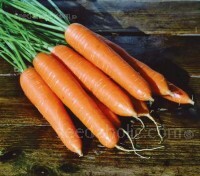 Carrot 'Sugarsnax 54' is a main crop variety and quite simply the sweetest carrot you will find. The long, thin, uniform roots are extra high in beta-carotene giving it a deeper orange colour and a super-sweet flavour make this an ideal carrot to eat right from the garden. 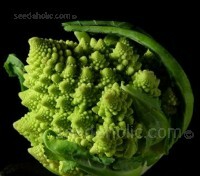 Romanesco broccoli, Calabrese romanesco, Broccoflower. One of the most beautiful vegetables and a true Objet d'Art. Each complex, symmetrical head features whorls of chartreuse green florets, in a complex, bewitching design, an amazing example of phyllotaxis - the fractal patterning that appears in nature. Celery Root, Turnip-Rooted or Knob Celery. It’s safe to say that celeriac will never be featured in photos of luscious, perfect produce. However, looks aren’t everything. Celeriac Prinz is a robust, disease resistant variety. Very trouble-free to grow it produces smooth, white skinned, well shaped globes. Once you’ve tasted its exquisite flavour, you’ll realise that ugly is only skin deep. 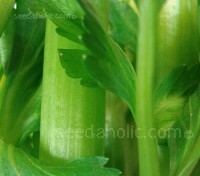 Celery ‘F1 Victoria’ is the UK's market leader for early and mid season production. Producing tall, well filled plants with medium green, smooth fleshy petioles, it performs well under difficult spring conditions. It is one of the best flavoured varieties available. With more colours than Joseph’s Amazing Technicolour Dreamcoat, Bright Lights is one of the best looking vegetables around. 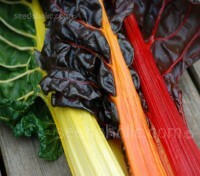 The stems are a veritable rainbow of colours. 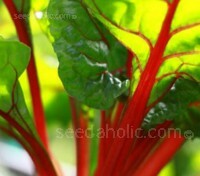 One of the easiest of vegetables to grow. RHS AGM and an AAS winner. 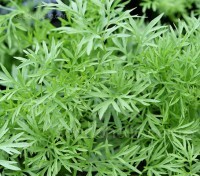 'Confetti' is a unique Coriander producing fine, distinctive, feathery leaves, which are full of the distinctive coriander taste but with increased sweetness. 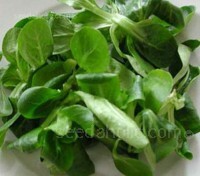 Early to mature and slow to bolt it is ideal for use as cut and come again baby leaf, salad leaf or as a mature plant.